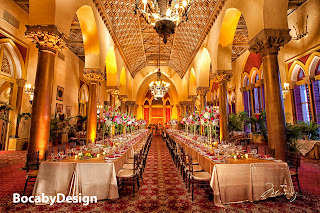 Boca By Design offers many different themes to include this royal event "Sir Addisons Court." This is a royal feast that transforms our guests to a medieval age of Chivalrous Knights and Fair Maidens. The Royal guests arrived to discover our Cathedral Ballroom with golden amber lighting, seating for over 200, very grand florgal candelabras with all the other accoutrements needed to make this royal event a spectacular regal event. Addison Show was a Sweet Delight! The event was a sweet delight with over 400 attendees at the Annual Show held at The Addison Restaurant, Boca Raton. The theme was Sweet Delight and once again, Boca By Design, came through with a delicious evening with both visuals to the eye and yummy candies for the tummy! 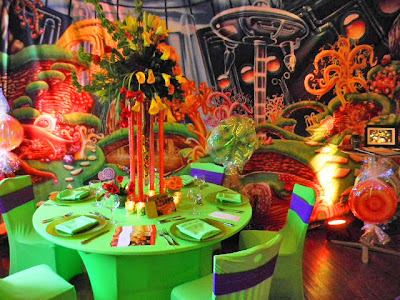 It was a smashing success to showcase our abilities with themes for Bar Mitzvahs and other sweet 16 parties. Everyone had a sweet and delightful time! BOCA BY DESIGN was part of the annual The Florida Wedding Show that was held last week at Broken Sound Country Club. Elegance and splendor were in the air! Attendance was great! We were delighted to be part of this annual tradition to offer brides- to-be beautiful linens, fabrics, lighting, entertainment, and of course flowers! You are cordially invited to enjoy The Addison’s decadent desserts, magnificent ambiance and complimentary cocktails. Weddings, Bar/Bat Mitzvahs, Sweet 16’s and Quince’s are just some of life’s special moments that deserve the grandeur of this 1920’s estate. Create your story book event with the assistance of our preferred Vendors and Event Planners! WEDDING DAY LAUNCH WITH WHITE DOVES! Make your wedding even more memorable by launching a pair or more of white doves to commemorate your very special day!!!!!! 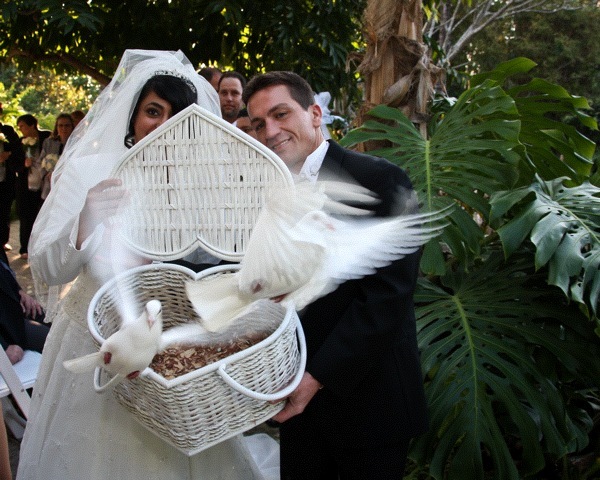 Be the first one of your girlfriends to make white doves a very special part of the ceremony. 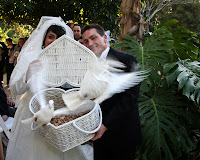 As you launch a new life with your husband, lets launch these beautiful doves. Call Boca by Design for your favorite florals, entertainment, flowers, decor, lighting and transportation needs!!! !